I've written about our light show before. We were in the news a few times and won a lighting contest last year. We first were introduced to Light-o-Rama three years ago. We originally purchased one kit intended for Christmas use, but decided to give it a try for Halloween. We attempted a singing pumpkin and have added on to the show each year. We're up to three controllers and RGB lights now. Our first year was rather sparse in comparison to today. Today, 2017, 3rd year - what a difference now that we have a little experience!! It truly is a lot of work, a lot of time, and a lot of money. Clint spent hours and hours putting this together. I'm certain we are the only house in town with a singing pumpkin!! The feedback we get makes it all worth it. There's always someone parked in front the house watching the show. We've gotten great reviews and messages thanking us on our Facebook page, Bayou Blue Dancing Lights. We already have a few new ideas..... Next year's Halloween show will be even better!! I can't skip an opportunity to brag on something brag worthy!!! I'd been waiting for it as I suspected she would get it. 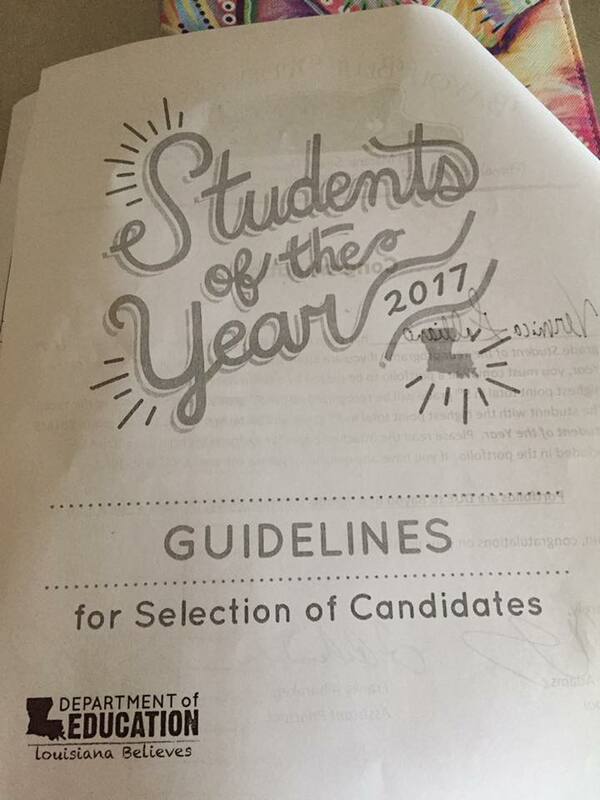 Every year a small number of students are nominated for Student of the Year. It's an honor just to be selected because there are so few. 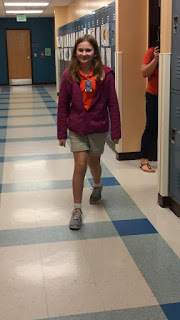 This year there were eight fifth graders chosen, and Veronica was one of them. We had a week to put together a portfolio consisting of everything from past report cards to copies of all her awards/certificates. Luckily I am that mom who saves nearly everything. She had to write a biographical sketch about herself and include three topics that were important to her. I thought with her excellent test scores and near perfect grades, Veronica just might have a shot at getting it. I copied everything I could and listed every award that I could think of that she'd gotten in the past two years. I put it all neatly in a binder and hoped it was good enough. Tuesday morning I received a call from the principal. SHE WON!! Veronica was chosen as STUDENT OF THE YEAR!! This is so huge y'all. Huge. We worried so much about her when she was small. She cried so much and was the most difficult child at times. 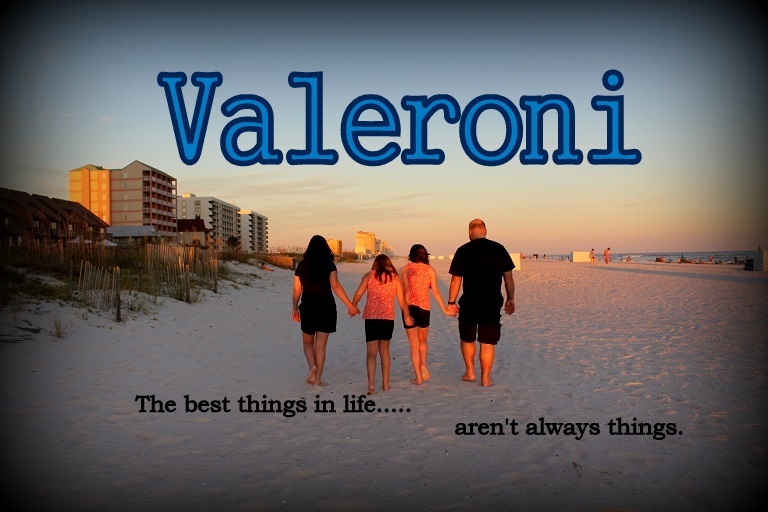 I worried so much when she started school because this was not easy going Valerie. This was my baby Veronica and she had her own Veronica ideas and ways about everything. She's been terribly hard on herself and so afraid of doing anything wrong. She surprised us all from the start by making A's with ease coming out at the top of her class every year. 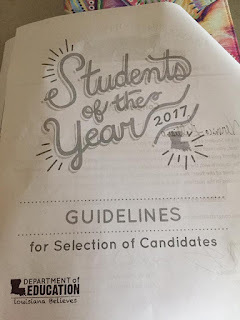 But this --- STUDENT OF THE YEAR!!! 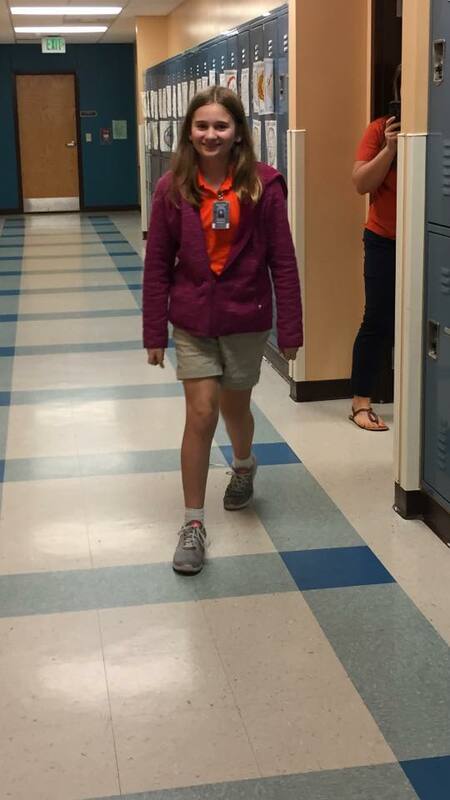 That puts her at the very top of the entire fifth grade. She goes on to compete for District Student of the Year next. That will consist of an interview and writing an essay. The writing she can do. The interview.... who knows how that will go knowing my shy girl! !